Actually, honey is made out of hundreds of bees’s drool. Which means you have to marry hundreds of bees. Which is illegal. 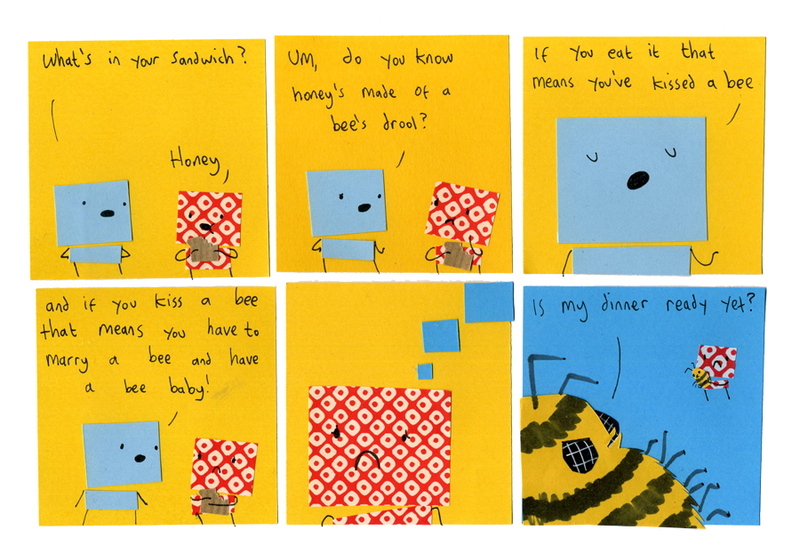 Why would honey be in a sandwich…. is it a sweet sandwich? Have you NEVER had a honey sandwich? You need to try a honey sandwich. I love the thought bubble panels in MCL! Disgusting and strangely adorable at the same time, ahhhhh! peanut butter and honey is the best! actually, honey is more like bee vomit, as bees have special “honey stomachs” where they process the pollen/nectar and then regurgitate it into the comb. much better, right? you’re welcome.